When it comes to carpet cleaning in Canterbury, you can trust the fully-trained and insured technicians from UltraKeto to care for your carpets. UltraKeto carpet care technicians are honest, reliable and punctual. The UltraKeto standard service is our premium service. Your carpet becomes soiled with bacteria and other nasties transferred to your carpet from the outside environment every day. 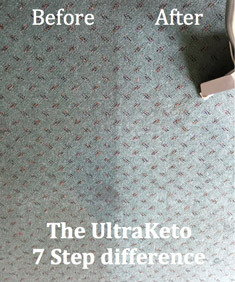 By requesting UltraKeto’s 7 step carpet cleaning process you can remove the pollutants in your carpets, reduce allergies and continue to keep your family healthy. The Australian standard recommends having your carpets cleaned every 6-12 months to prolong carpet life. As carpeting your home is a significant investment the correct care is essential. Additional care and cleaning of your carpets is beneficial after renovations, spills, unexpected soiling or prior to babies coming home for the first time. Canterbury is our local service area. 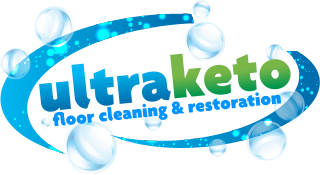 So for carpet cleaning in Canterbury, the Boroondara City Council and the Eastern Suburbs of Melbourne, UltraKeto can assist with all your carpet restoration services. 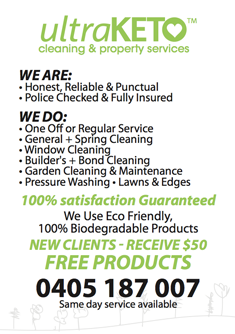 For a no obligation free quote for all carpet cleaning services in Canterbury or carpet restoration in the Boroondara City Council area and the Eastern Suburbs of Melbourne please call 0405 187 007. The Specialised Cleaning and Restoration industry Association (SCRIA Inc.) provides the following suggestions when selecting a carpet cleaner. Although there is no single criteria for selecting a carpet cleaning service provider, several combined factors should be considered in the selection decision. If an advertised price sounds too good to be true, it usually is. Legitimate business people have legitimate expenses that must be covered to make a profit. They include taxes, insurance, wages and employee benefits, vehicles and quality tools of trade. A professional carpet cleaner with all these expenses could not thoroughly clean your house or business for a few dollars per room. The price of cleaning services should never be the sole criteria for selecting a carpet cleaner. Higher prices do not necessarily mean “rip-off”. In all professions, quality work deserves a quality price. The experience a firm has, combined with formal training programs, contribute significantly to the skill and proficiency of its employees. Consumer group CHOICE also has some guidelines and tips for selecting professional carpet cleaners.